WASHINGTON (AP) — The Atlantic’s warmer waters triggered the unusual number of major hurricanes last year, according to a new study that predicts the region could see a couple of extra whopper storms each year by the end of the century. 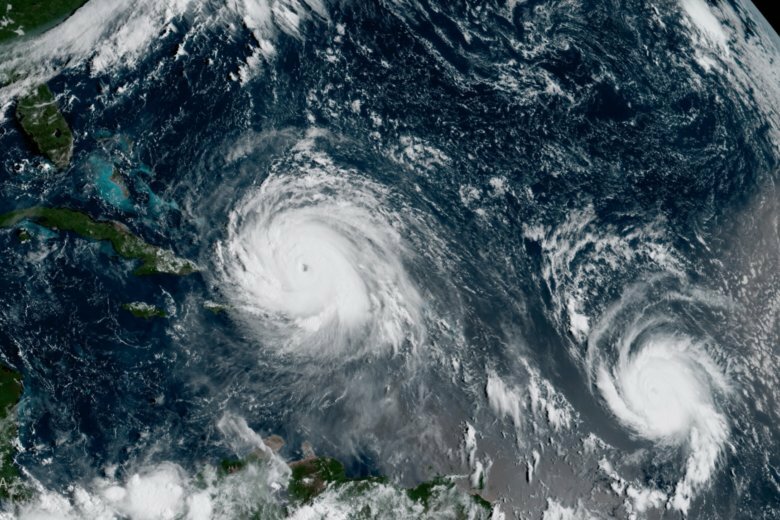 Six major hurricanes — with winds of at least 111 mph (178 kph) — spun around the Atlantic last year, including Harvey, Irma and Maria which hit parts of the United States and the Caribbean. Since 2000, the Atlantic has averaged three major hurricanes a year. Before that the average was closer to two. It may go up to five to eight major hurricanes a year around the year 2100, according to a study in Thursday’s journal Science . “We will see more active hurricane seasons like 2017 in the future,” said lead author Hiro Murakami, climate scientist and hurricane expert at the National Oceanic and Atmospheric Administration. So far this year, though, only one Atlantic hurricane, Florence, has reached major status. Warm water acts as fuel for hurricanes. Water has to be at least 79 degrees (26 degrees Celsius) for a storm to form. The warmer the water, the more it can resist forces that would cause it to weaken, said University of Miami hurricane researcher Brian McNoldy, who wasn’t part of the study. Murakami found that a combination of natural conditions and man-made climate change made the waters warmer in one key area, which caused more major storms. That area is essentially a large box from south of Florida and north of South America, stretching all the way east to Africa. Some of the strongest Atlantic hurricanes form off the coast of West Africa, then chug west toward the Caribbean and the U.S. East Coast. Water in that large box — the main hurricane development region — averaged 0.7 degrees (0.4 degrees Celsius) warmer than normal for the entire 2017 season, which is unusual for a six-month time period, Murakami said. Murakami’s study used computer simulations to isolate different climate conditions. Although his research showed both natural and human-triggered causes from the burning of coal, oil and gas, Murakami said he couldn’t separate them enough to see which was bigger. He used the computer models to look into the future. The Atlantic is projected to warm faster than the rest of the world’s oceans. That difference is why Murakami said the number of major storms will probably increase by two or more on average. Some outside experts had issues with parts of Murakami’s study. McNoldy said it makes sense that the unusual warm water was to blame in 2017, but he wasn’t quite ready to point the finger at global warming. “Hurricane seasons don’t just keep getting more active as the climate warms though. There is enormous variability,” McNoldy said in an email. Kevin Trenberth of the National Center for Atmospheric Research faulted Murakami’s study for not taking into account the large increase in ocean heat in deeper areas, which he said is also due to climate change. Princeton University’s Gabriel Vecchi said some computer simulations don’t show the Atlantic warming fastest, so it’s not quite as certain that there will be more major storms there in the future.